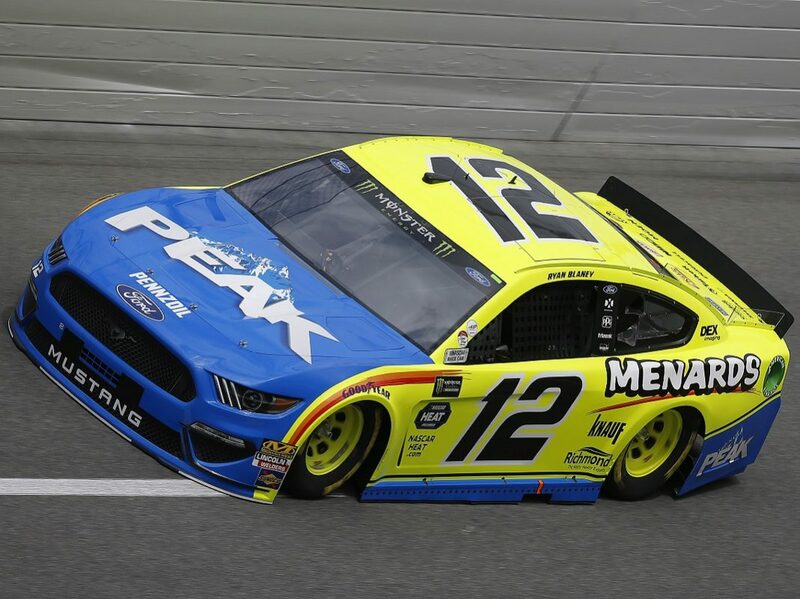 DAYTONA BEACH, Fla. – Team Penske’s Ryan Blaney is largely viewed as one of the pre-race favorites for Sunday’s season-opening Daytona 500, and with good reason. 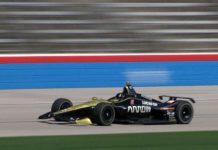 Blaney led a race-high 118 laps in last year’s Great American Race, staying in contention to win all the way up until the closing laps of the race, when he was involved in the Big One and sustained damage that knocked him out of a chance to score the victory. However, in his return to Daytona Int’l Speedway on Wednesday for Daytona 500 Media Day, Blaney admitted he hadn’t heard anything about being favored to contend for the win in this year’s race. “That is the first time I have heard that,” said Blaney of being a favorite. “This race has been good to us the last couple of years. We were running second a couple years ago and led a ton of laps last year … but it just didn’t work out for us at the end. I think our speedway cars have always been pretty good. The Penske group and the Wood Brothers both do a great job. It’s a combination of cars, having a great spotter – Josh Williams is my spotter and he gets better every single year – and having great teammates. All four of us work great together, Paul Menard included. These tracks, more than others, are places where strength in numbers is your friend and we do a great job trying to work together. 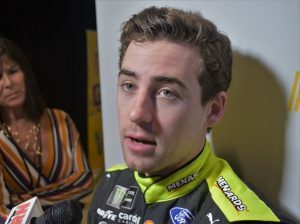 Despite last year’s near-miss at the World Center of Racing, Blaney said he’s been focused forward on what he needs to do to win this year, rather than second-guessing what might have been. “It doesn’t really bother me,” he said. “I’ve never really been one to kind of think about things or let it eat at me or anything like that. You have to get over it pretty quick. That’s just the way this sport is. You can’t dwell on something bad that happened … because you have another race to look forward to. That’s the good part about our schedule. 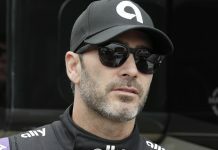 “The 500 last year – that sucked for a day, but then you turn around and start to figure out how to win Atlanta. You forget things pretty quick,” Blaney continued. “Last year wasn’t really one that got away; it was just one that didn’t work out for us. You try to figure out what you can do different in those scenarios and hopefully make better decisions as a driver to stay up there. You can look back, and it is easy to do that now, but in the moment you’re making snap of the finger decisions and you don’t have two seconds to think about what you are going to do. Sometimes you just don’t make the right move. Blaney is the only member of Team Penske’s three-man who hasn’t won on a superspeedway yet in his Monster Energy NASCAR Cup Series career, but he knows a bit about how his teammates have done so. “It takes fast race cars and great drivers. Roush Yates engines have always been great here,” noted Blaney. “I think Brad (Keselowski) and Joey (Logano) are two of the best plate racers right now, and it shows with how many they have won. We all work together and have each other’s backs, but at the end of the race we are allowed to go race for it. If he can catch up, Blaney might just be able to deliver team owner Roger Penske his third Harley J. Earl Trophy on Sunday night.